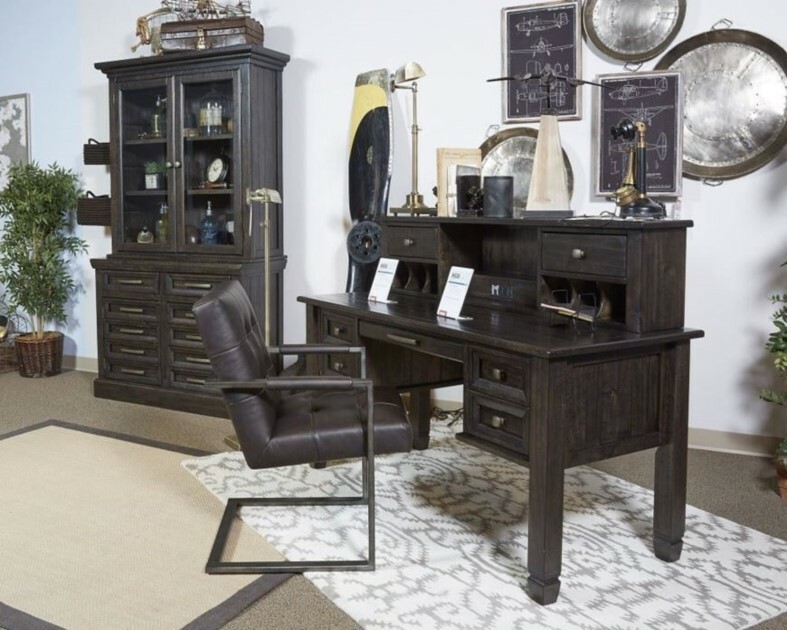 Inspired by the timeless appeal of American classic furnishings, where character-rich materials, sturdy silhouettes and thoughtful detailing speak volumes, the Townser Home Office Desk revisits tradition in style. Rough milled pine is naturally textured and enhanced by a deep finish with gray undertones. Ample drawer storage and file cabinet space make it all the more functional. For fans of urban industrial design, the Starmore home office desk steals the show. Tabletop is crafted with a mix of acacia veneer and wood beautified with an oiled walnut-tone finish. This classically inspired home office creates the perfect accent to set the mood for stunning European influenced elegance. Perfectly proportioned to accommodate sprawling school crafts or any work environment, belay maintains its pristine demeanor no matter what the task. Inspired by French provincial style, the Emilia white bedroom desk is perfect for la petite mademoiselle. the drawers keeps school supplies close at hand, and the cabinets provides storage space for a computer tower and books. This desk's luminous finish complements every pigment of the rainbow which is perfect for complementing any arrangement of your little princess's bedroom. Elevate your style and your productivity with the Laney Adjustable Height Desk. An especially cool look for those short on space, this minimalist-chic desk with open storage cubbies offers an electric lift design with two programmable Height settings for your convenience. Our classically inspired Corsica Home Office creates the perfect accent to set the mood for stunning European influenced elegance. Perfectly proportioned to accommodate sprawling school crafts or any work environment, Corsica maintains its pristine demeanor no matter what the task. Old world charm abounds with pine solids and veneers, matte black with pewter highlights.